Need Delivery Today? Call For Availability. 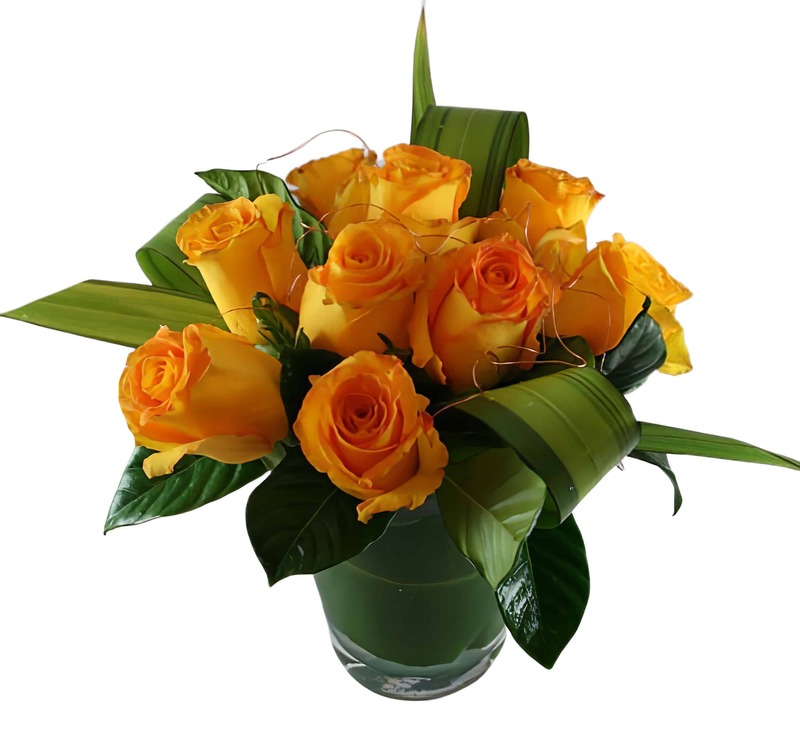 Hospitality and Friendship take on new meaning with this beautiful display of Yellow Roses, a glint of copper wire and stylish striped greens. What a great way to send some warm wishes to a friend, celebrate a birthday, dress up your desk or welcome someone into a new home!